As a region deeply connected to the EU, the Western Balkans should no longer be forgotten. With Austria’s upcoming presidency of the EU, it is high time to reboot the region’s economic development and its integration into the Union, as well as recognise its progress in countering terrorism, writes Peter R. Neumann. Peter R. Neumann is the founding director of the International Centre for the Study of Radicalisation (ICSR) at King’s College London. He served as the OSCE Chairman’s Special Representative on Countering Violent Extremism in 2017. The Western Balkans are the European Union’s most frequently forgotten neighbour. Long associated with ethnic conflict, unresolved border issues, organised crime and extremism, European policymakers have traditionally tried to keep the region at arm’s length. But this is neither possible nor practical anymore. The incoming Austrian Presidency of the European Union should not only push for further reforms and implement the “clear path for accession”, which High Representative Federica Mogherini promised earlier this year, but also capitalise on the region’s progress, especially in countering extremism. Having travelled across the Western Balkans as the OSCE Chairman’s Special Representative on Countering Violent Extremism, I quickly realised how deeply connected the region is to the rest of Europe. For example, after the wars of the 1990’s, the Western Balkans have become the principal source of illicit firearms in the European Union. Nearly 40% of the citizens of Albania, Kosovo, or Bosnia-Herzegovina live as diaspora communities in Western Europe. The extremist networks that have mobilised young Bosnians, Macedonians or Albanians to fight in Syria spanned the entire continent. Several of the most influential radical preachers were based not in the region but in Sweden, Austria, and Germany. There is also a risk of renewed ethnic tension, which would have negative consequences for the continent as a whole. Many of the countries in the Western Balkans are young and have brittle institutions. The fault lines from the 1990s are still present and can easily be activated. Given how deeply shaken a more established country like France has been by recent attacks, one can only imagine their potential impact in deeply fractured societies like Macedonia and Bosnia-Herzegovina. The good news is that governments in the region seem to have recognised the problem. 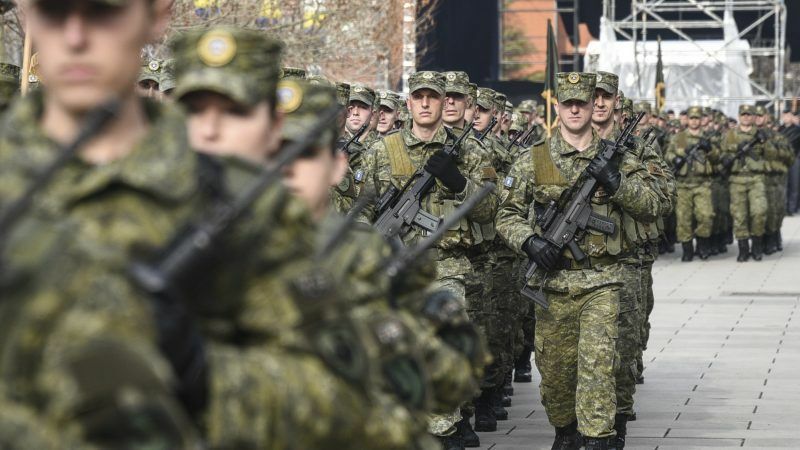 In Kosovo, the government has created intervention programmes and is training prison staff to spot early signs of radicalisation. During my visit to Pristina, several Western diplomats told me that these efforts are “serious and sincere”. Albania was the first country in the region to produce a comprehensive national action plan against violent radicalisation, which makes the fight against extremism a national priority and has specified ten areas in which the country seeks to achieve “clear and measurable” progress. Unlike many Western countries, the country’s counter-extremism coordinator is directly accountable to the prime minister. When I spoke to him, I was impressed by his knowledge of the issues and the strong emphasis on creating deep and sustained partnerships with civil society. In Macedonia, the new government is no longer denying the problem and has reached out to international organisations to run programmes aimed at early detection. Likewise, the number of activities that are run by the government and the Islamic Community of Bosnia, often in collaboration with international partners, has increased dramatically since 2015. More so than previously, governments in the Western Balkans are willing to concede the negative impact of the rigid and extremist interpretations of Islam that Gulf countries have exported to the region. Strengthening the traditionally secular and pluralist Islam of the Balkans will be key to producing an authentic religious “counter-narrative”, which could resonate far beyond the region. Ultimately, however, the appeal of jihadism – or other extremist ideologies – will only recede if the Western Balkans are able to develop a positive trajectory. Twenty years after the end of the Balkan wars, many countries remain in a state of political and economic paralysis. Nearly all the young people I have met during my visits to the region see no perspective for themselves other than migrating to Western Europe. As Austria is taking over the European Union Presidency, it will be essential not only to press for reform and take advantage of the renewed interest in countering terrorism and radicalisation, but also to spur the region’s economic development and its integration into the European Union. The lessons from history are clear. If Europe does not help to solve the problems of the Balkans, the Balkans’ problems will – eventually – come to Europe.